Few people ever said having a job was stress free. Yet with so many people beginning to crumble under increasing stress, maybe turning to freelancing is worth a punt. If we want to blame crippling work-related stress Stressed At Work? How To Relax & Focus In An Open Office Stressed At Work? How To Relax & Focus In An Open Office Does working in an open plan office kill your productivity? You can probably blame the Germans for its wide adoption. But let's reconcile after you tried these tips. Read More on the modern never-switched-off mentality, that’s a good place to start. The ease with which we are now replaceable is part of the problem, too. So is the real fear that our employer may rapidly need to cut costs as soon as next week. Each of these factors prompts us to keep pouring even more of ourselves into our work. We forego any form of work-life balance and we neglect our health. We’re even using websites to create excuses for us to save us from another day in the office. But how far can we keep pushing, and for how long, before the cards topple over? According to a new survey by workforce stress management platform meQuilibrium, 78 percent of workers put their stress levels at medium to very high, and some of them have missed a day of work (31 percent) or even quit their jobs (40 percent) because of it. She goes on to say, “employee absenteeism, low morale and reduced productivity are the true cost of a high-stress work environment”. She then talks about meQuilibrium’s proposed solution. To help employees develop resilience…the desire to aim high and carry on in the face of rejection or failure. There’s no other word for this “solution” than laughable. Telling people to thicken their skin and power through the burnout Programming Burnout: How to Regain Your Lost Motivation Programming Burnout: How to Regain Your Lost Motivation Writing all those lines of code can be draining physically and emotionally. All you need to get back up is the awareness that motivation can be regained. Read More is the worst advice I’ve ever read on this topic. But those 40% who’ve left jobs due to stress? They could easily have had the right idea, especially if they ventured into freelancing. Here’s why. As a freelancer, you’ll most likely work for a few clients simultaneously. If one of those clients decides not to continue the contract, you’re still able to make an income. 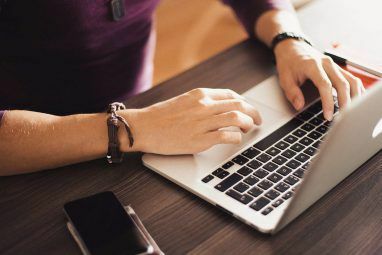 You can then spend the additional free time browsing some of the many freelancing sites 5 Websites Where Freelance Writers & Coders Can Find Work 5 Websites Where Freelance Writers & Coders Can Find Work Freelancing has its benefits, but the difficulty comes in finding people and companies to whom you can market yourself. Fortunately, there are now more places to find freelancing gigs than ever before. Read More to find your next project. On the other hand, as a traditional employee all your eggs are in one basket. If your employer decides they no longer need you, you’ll very quickly find yourself down a raging creek with not a paddle in sight. If your clients don’t need you somewhere at set times, you’ll largely be in control of your own time. If you’re feeling a bit sleep deprived, you can choose to have an extra hour in bed. You could even completely change your sleeping habits Use These Apps to Help You Sleep Better [Android & iOS] Use These Apps to Help You Sleep Better [Android & iOS] After a hectic day, the best thing you can do is to get a beneficial amount of sleep. There are always new studies appearing that prove how important sleep really is to a person, improving... Read More to something that better suits your body. If you want to meet some friends for lunch, you can decide to work during the evening, instead. The return of this long-lost freedom over how you spend the bulk of your waking hours can often bring you a sense of control that’s needed to shirk much stress. One of the most hated aspects of virtually any job is the commute. Time utterly squandered breathing others’ sweat in the metro, and others’ fumes in the traffic jam. Money wasted getting to and from work. Imagine being able to work from home each day, spending that extra time recuperating from the stress you’re living through now, and putting that money to better use. Better still; spending that time with your family. Of course, if you don’t want to work from home, you could always work from coffee-shops, co-working spaces, or even rent your own office or quiet space How to Easily Find a Quiet Place to Work in a Crowded City How to Easily Find a Quiet Place to Work in a Crowded City Find a quiet space to get your work done and move on with your day. Taking advantage of co-working spaces is the new trend for busy professionals who want put in focussed hours. Read More . As you won’t have the typically huge overheads of your employer, you should be able to double or multiply your current hourly rate once you have some initial freelance work under your belt. This is true for being a profitable graphic designer How to Be a Profitable Online Graphic Designer How to Be a Profitable Online Graphic Designer If you're a graphic designer struggling to turn a profit, all is not lost. Here are some tips for getting your freelance career back on track. Read More , successful web developer How To Find Your First Clients As A Wordpress Freelancer How To Find Your First Clients As A Wordpress Freelancer Freelance development is just about being an insanely hot programmer, right? Right? Wrong. Read More , and coder. The same can be true for freelance writing Your Guide to Making Money Online: Writing, Transcribing and Tutoring Gigs Your Guide to Making Money Online: Writing, Transcribing and Tutoring Gigs This is your guide to making money online. There are plenty of legitimate ways to earn money if you're savvy enough. Read More , but it’s somewhat more difficult to command those higher prices within a short timeframe. Remember that a high hourly rate isn’t “success” here, though. You need to make sure you can work enough hours to earn a decent salary. It’s true that you can still squeeze some creativity out of your cubicle Stuck In A Boring Job? Here Are 10 Ways To Be Creative Within The Cubicle Stuck In A Boring Job? Here Are 10 Ways To Be Creative Within The Cubicle The humdrum office cubicle is a place few workers dare to express creativity. Despite those shackles enforced from further up the chain, here are ten ways to creatively escape your cubicle monotony Read More , but this is only temporary. Freelancing can permenantly liberate your creativity from the stifling bureaucracy it’s facing at work. 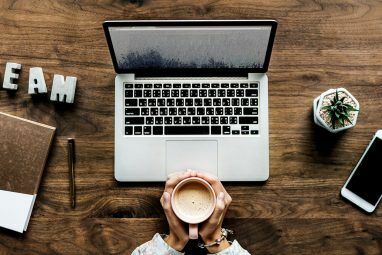 Once you go self-employed, you will need to develop ample self-discipline 8 Timeless Tips for Freelancers Struggling with Productivity 8 Timeless Tips for Freelancers Struggling with Productivity For freelancers, there’s always more to do than the minutes in the day. Because everything is out to distract you, being productive is paramount. Here are eight timeless tips freelancers should always follow. Read More , but you also have free reign over your time. You can now choose only projects that are creatively exciting. You can design your own website. Rewrite that sales copy. Come up with ingenious project and product ideas. The creative world really is your oyster. After being self-employed for quite a few years, the idea of needing to ask for permission to take a day off, or to go on vacation, seems utterly alien. For a freelancer, so long as you have a good relationship with your clients, you can go on an adventurous vacation How to Turn Your Next Vacation into an Adventure How to Turn Your Next Vacation into an Adventure Adventure is a state of mind. Take a few ideas from here when you want your vacation to be a compromise between new excitements and familiar relaxation. Read More when you want to. What’s more, if you finish your work a few days early, you can enjoy an ad hoc holiday without someone incessantly filling your time with never-ending tasks. If desired, you could even use some of these techy travel tips to help you work from the road 17 Techy Travel Tips for Globetrotting Freelancers 17 Techy Travel Tips for Globetrotting Freelancers Dead laptops, weak batteries and the hazards of the road can make your life miserable. Worse, the perils of travel can crush your professional life. So how did I manage to not get fired? Read More . When you design and work from your own office, you create the office culture. If you want to have Work-in-Underwear-Wednesdays, that’s entirely your prerogative. Want to wave goodbye to those ridiculous power-games? Cheerio! By being outside of the structure and culture of your clients’ businesses, you’re still master of your domain. They will generally hire you as a contractor, not as an employee. The former usually comes with more respect and a lot more autonomy. 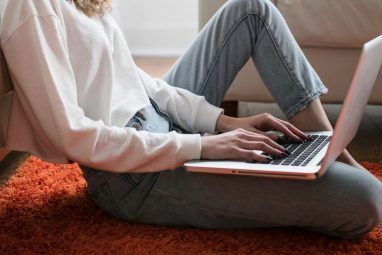 Becoming a freelancer, if only for a few months, offers huge opportunities for improving your resume How To Write A Resume With The Help Of 8 Ivy School Guides How To Write A Resume With The Help Of 8 Ivy School Guides Trying to build the perfect resume? Check out these free resume tips from some of the best schools that make up the Ivy League. Read More . If you see a project you’re at last excited to work on, there’s no reason why you can’t go for it, provided you have the skills. After all, the stress you’re experiencing at work may be due to boredom, and an urge to do something completely fresh. Freelancing can offer a host of new opportunities that will serve only to build your experience and skills, and leave headhunters banging down your door How to Impress Headhunters with Alternative Work Experience How to Impress Headhunters with Alternative Work Experience If you can't get your ideal job, why not do something completely different? Strangely, it might put you back on course and even place you ahead of the pack at your next interview. Read More . This isn’t all to say that being a freelancer is entirely rosy. You will struggle to find your first few clients. You may get lonely sometimes. Filing your own taxes could drive you insane. Paying your own health insurance may cost more than you think. You may balk at finding professional invoice templates 10 Simple Invoice Templates Every Freelancer Should Use 10 Simple Invoice Templates Every Freelancer Should Use Invoices can be a nuisance, but they don't have to be. Here are some of the best invoice templates you can download. Read More . You’ll have problems with your website. You may end up becoming obsessed with productivity The Powerful Truth About Productivity from 11 Months on the Road The Powerful Truth About Productivity from 11 Months on the Road Is the pursuit of productivity over-hyped? When we are missing something fundamental, we should question our own notions of prodctivity. Here are four personal lessons on productivity learnt from 11 months on the road. Read More . These are all very real possibilities. So it’s up to you to compare the definite upsides with the speculative downsides, and see if becoming a freelancer could work for you. In many cases, including my own, the downsides of freelancing were dwarfed by the downsides of traditional employment. The upsides of freelancing, however, dwarfed those of being an employee, making this a somewhat easy decision, and one I only wish I’d made earlier. If stress is turning your work-life into a living hell, how long can you hang in there? At what point is enough, enough? Will simply moving jobs be enough, or will you need to take an entirely different route? I've been freelancing for around 10 years now as both a designer and developer. What's fascinating is the polar opposite attitudes towards freelancers in these two spaces. Freelance, or contract, developers are highly regarded in the technical work force and there is a propensity for the more skilled developers to gravitate towards freelance/contract work. Within the design world however, 'freelance' is considered a euphamism for 'unemployed', and freelancers are generally poorly regarded as designers who can't find 'a real job'; this phenomenon encouraged by designers who fill gaps in their CV by claiming they were working freelance. Either way, in contrast to the comment above I would encourage junior designers and developers alike to find employed positions early in their career to learn the ropes as it were in a professional working environment - while practical design/programming skills are important, so too - equally if not more so - is experience of the design/development work flow if you're planning to go solo. Excellent advice Ben, though I'm sorry to hear you couldn't work well at home! Is freelancing an ideal way of gaining experience or references to begin a steady career? Because I'm currently learning programming but unsure of how to put it to use. In several careers, I would say yes. Many employers would rather see evidence of how you work, and what you can produce, instead of just seeing that you DID work. Having an impressive portfolio in careers like writing, programming, design etc is an important part of developing a successful career.